I thought you were going with the smaller AC compressor?
" daddy my hat blew off, I hope your darn head was in it"
This is my dad’s car. The sanden went on my Red Trans am. I tend to be the guinea pig for test and mock ups. 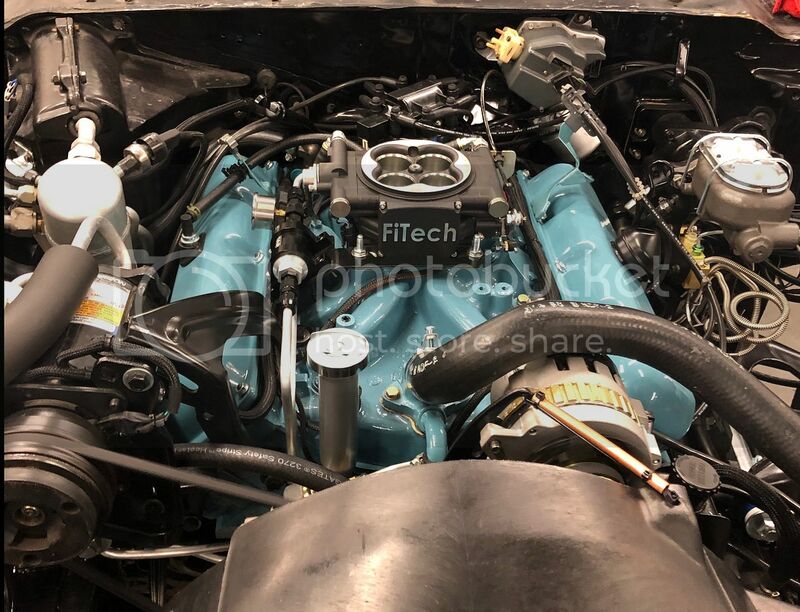 any updates on this 424 Stroker 403 Olds Build? this month. We also lost our painter to cancer so that changes the plan quite a bit. Hope things are well, and getting sorted out!! The expression on my Dad's face was worth the 18 months of hard work that everyone all put into this day. My wife - thought she would have killed me by now. The countless trips to the machine shop, fed ex, ups, and phone calls. Trips to the shop some 45 mins each way. My brother - for all the help along the way. My dad - who pulled this all together after 25 yrs. Restoration, Machine Shops and Suppliers. Oh Yeah...that's a great sound!!! What a difference, can't wait to see what numbers this car puts down. Any plans to put this car on a Chassis Dyno and see how the rebuilt 403 (aka 424ci) does for HP and Torque, and what the RPM range is? Not with this one right now. Give this until later this year. 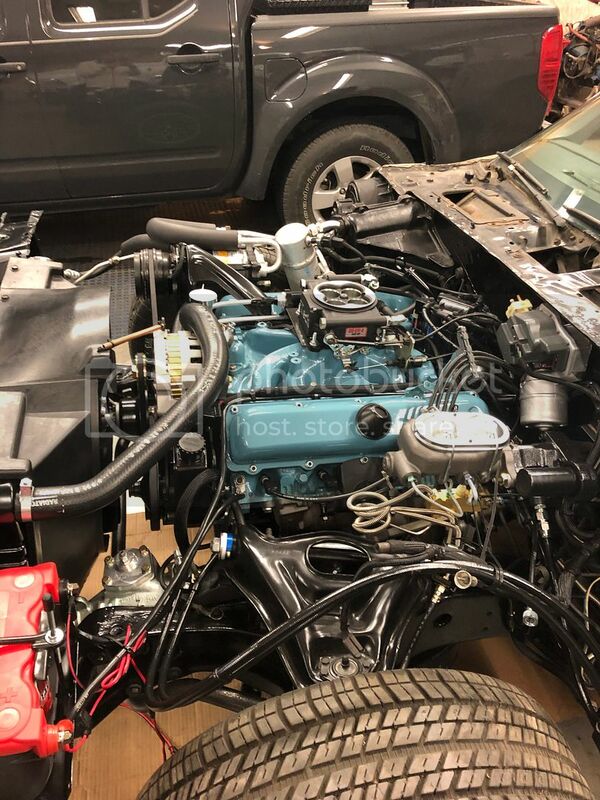 Working on an extreme olds stroker small block. I bought a 4” stroked crank last year ~ one of a dozen in existence. Not much more to say...things are a bit slow now .